Is Morse Code a lost language? The St. George Live Tour season doesn’t officially start until June 1st. students from the George Washington Academy School. They were a very knowledgeable group. One girl knew some Morse Code as did two boys and one boy explained it it was made. That may have been Tyler, but I’m not sure and I’ve forgotten the girl’s name. mulberry tree for a photo. Then next group was right on their heels. 28 in all, 12 boys, 16 girls, 4 lady teachers and Guide Winona Stanley. I told them more that I had the first group. railroad and knew Morse Code. She called it the “lost language”. Then out for photos with them. actresses. There had been 9 of us and then the bus drivers. I just learned that the inventor of the code, Samuel Morse, is a distant cousin of mine. What of him and the code? Joseph Henry, and Alfred Vail developed an electrical telegraph system. vital means of communication for nearly 200 years. Though it isn’t used as much now as in the past, amateur “ham” radio operators use it. Among other uses it is always nice to know SOS made by 3 dots, 3 dashes, 3 dots. That is all That I remember from my boy scout days. The military uses Morse Code even with light signals. It’s a good thing to know. It’s a long and comprehensive article. It even has play buttons so that you can hear the sound of the signals. So is Morse Code lost? So go study the article and get to learning Morse Code. Which movies were you in? Yesterday I spoke with a young man who asked why I didn’t dye my beard as it is so white. and it must be white to do the St.George Live part of Brigham Young. It’s a documentary about water in Washington County Utah in which I portray pioneer Jacob Hamblin. 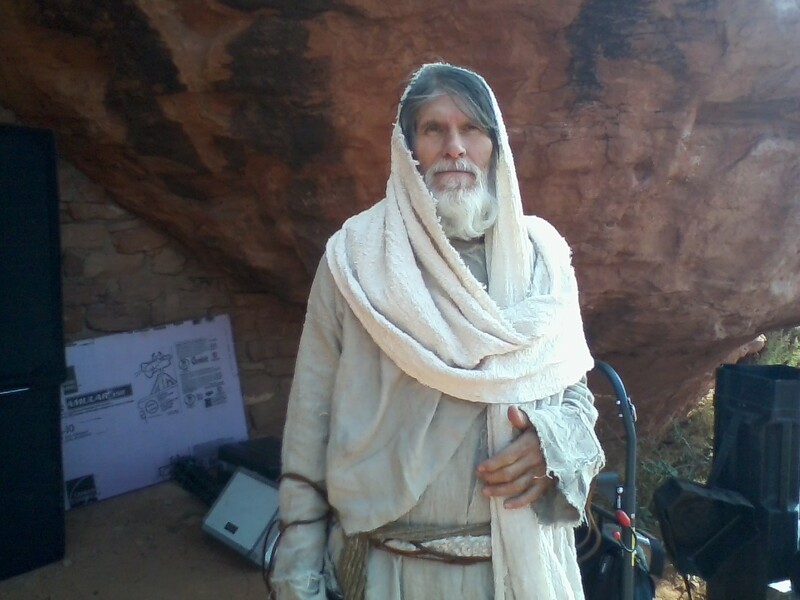 I this one I portray a Temple Elder in a fantasy adventure film. but is eliminated very quickly by the evil bad guy of the film.